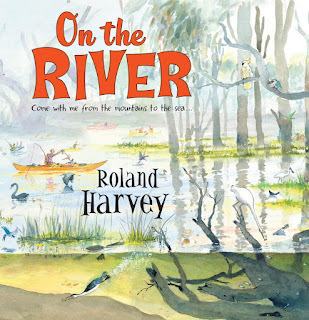 Roland Harvey is well known for his distinctly Australian books and artworks. 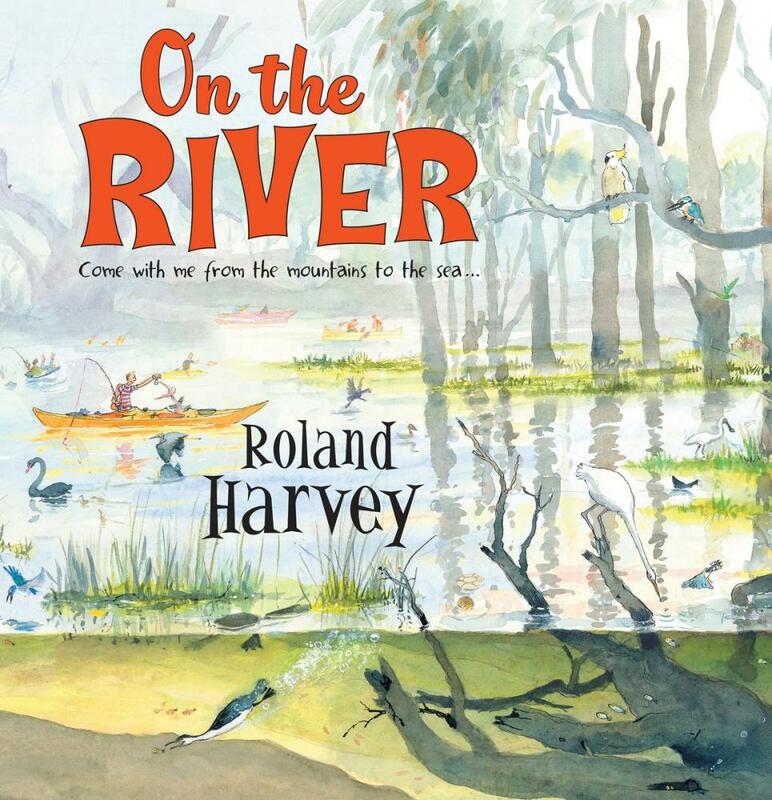 On the River is no exception, as it takes readers on a journey from the headwaters of the Murray River to its mouth, over 2500 kilometres away. This is a picture book for the whole family. The youngest readers will eagerly seek out Roland and his pelican friend in a 'Where's Wally? '-style hunt on each spread. Adults too will have fun examining the illustrations and laughing quietly at such asides as the wine-hat — 'an interesting idea by New Zealanders Nick and Bec Payne [that] was abandoned for medical reasons'! This is a wonderful way to learn about the mighty Murray. Roland Harvey has left no aspect of its vital role untouched — its importance to graziers, food growers, communities (for drinking and domestic water), for hydo power, for recreation, and the health of the environment. Each spread is jam-packed with information, but all conveyed in bite-size chunks that will easily find a home in young (and older) minds. I left this book inspired to take a trip down the Murray. I suspect you will too.